ITIL® is the most popular approach to IT service management in the world and is used by many successful major organisations. It helps businesses to ensure that their IT aligns with their business goals. As it is an AXELOS best practice method, it has been formed from the opinions and experiences of a whole community of IT professionals, including the UK government. 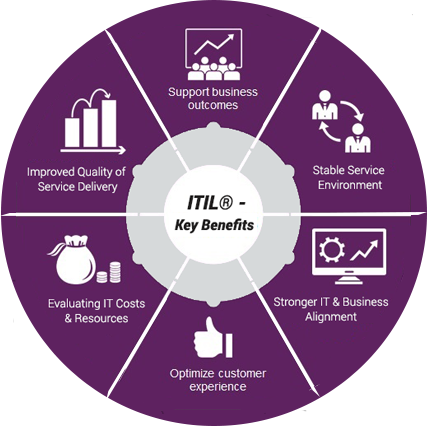 ITIL® provides a framework for managing all aspects of IT service delivery from the development and deployment of new services to improvement and replacement of existing ones. It helps ensure IT delivers business value and provides for the needs of its customers and users. ITIL® also maps to the ISO/IEC 20000 international service management standard, and its recommendations can be used to help organisations ensure they meet the standard.